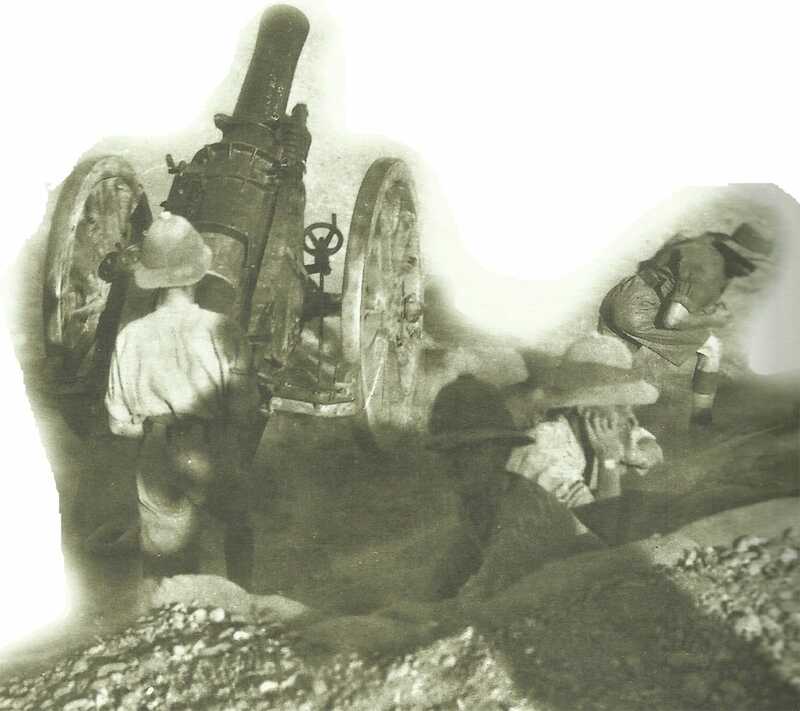 British howitzer in action during the fighting against the Turks in the Sinai Peninsula. Mesopotamia – Battle of Kut (until February 24): 3rd Indian Division (700 casualties) with 70 guns storms Turk front line in Khadairi Bend and holds against counter-attacks. Sinai – Action of Rafa: Chetwode’s Desert Column (486 casualties) storms Turk border defences, Turk losses including 1,635 PoWs and 4 guns. Egypt now clear of Turks; 8 British Tank Mk Iland at Alexandria. Germany: After final council of war (at Pless) a Kaiser order is issued: ‘I command that UNRE­STRICTED U-BOAT WAR­FARE BE INSTITUTED WITH THE UTMOST ENERGY ON FEBRUARY 1.’ Bethmann says ‘U-boat warfare is the last card’. (Austria backs decision on January 20). Central Mediterranean: British battleship Cornwallis (13 lives lost) sunk by 3 torpedoes from U-32 (Hartwig) 60 miles southeast of Malta. Eastern Atlantic: Raider Seeadler sinks first victim and another British ship (January 10) south of the Azores.